I would certainly call myself a big fan of Songwriters Shows, having attended various Bluebird Café and CMA Songwriters events, so hearing that one would be held at CMC Rocks immediately peaked my interest. 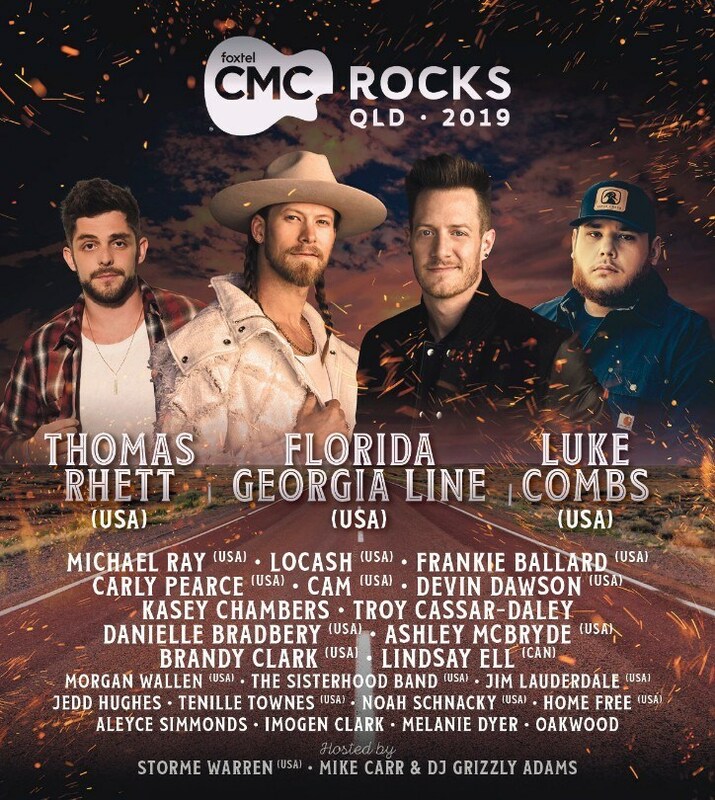 I was even more enticed upon hearing the all-star lineup, consisting of Aussie country music legend Troy Cassar-Daley, Australian-turned-Nashville songwriter Kylie Sackley, vocal powerhouse Luke Combs, and one of my favourites, Thomas Rhett. Troy kicked things off with the uplifting Born To Survive, which certainly had old Tim McGraw vibes. I particularly appreciated that he wasn’t trying to be anything he’s not, writing clearly from an Australian point of view rather than a faux-American one which I find some international country stars try to do. Kylie started by explaining that this was the first time she had played to an Australian crowd in 16 years, having moved to Nashville to write. The move has clearly done her well though, as she opened with a song she’d written for Faith Hill, a summery track entitled Sunshine and Summertime – definitely the kind I can imagine taking to the beach with me. We were then asked by Luke how many of us had ever broken up with someone and it turned out to be the best thing that had ever happened to them. There weren’t as many cheers as Luke had expected in response (hey, we can’t all be as lucky as him!) but he nonetheless launched into his hit song When It Rains, It Pours. Full of fun lyrics like ‘I was caller number five on a radio station / Won a four-day, three-night, beach vacation / Deep sea, senorita, fishing down in Panama / And I ain’t gotta see my ex future mother-in-law anymore / Oh lord, when it rains, it pours’, Luke’s powerful voice boomed through the tent and was responded to by ear-splitting cheers which I swear were louder than those for any of the acts on the Main stages had been! Thomas continued by explaining how he had felt growing up and always wishing he was a couple of years older so he could drive, pull off a fake ID, and drink (legally). This inspired the song Sixteen, one of the best off of his latest album Life Changes, so I was glad that we got to hear it acoustic here. We headed back to Troy who performed a new song called something like What Are You Going To Do For The World Today? I liked how Troy’s songs all seemed to have a positive message to them which leaves you walking away with more than just a catchy song in your head. One of the best things about country is its ability to pass on messages, and Troy seemed to be particularly good at writing songs that do just that. I liked Kylie’s introductions to her songs, and she began the next one by saying that she thought co-writing was a bit like going on an awkward blind date every day. She explained that she had been told one day that she would be working with someone named Sam Hunt. Imagining a 70 year old country singer, she was surprised at the young man who actually showed up and ended up with her writing one of the sexiest songs of her career – Speakers. Just take a listen to it and you’ll see! It was so interesting to hear it performed by one of its writers, giving it a completely different feel to how it is when performed by Sam. We were treated to a new song from Luke called Dear Today, all about doing what you want to do now because tomorrow isn’t guaranteed. I really liked its letter writing format, and of course Luke’s voice boomed throughout the tent again resulting in huge cheers from the crowd. It’s clear that if you’re looking for fantastic country music vocalists, you need look no further than Luke Combs and Chris Stapleton. Not wanting to miss out on the ‘new song’ train, Thomas followed up with a new song he hadn’t played live before. That Old Truck told the story of his old silver F150 which had seen all kinds of firsts inside. 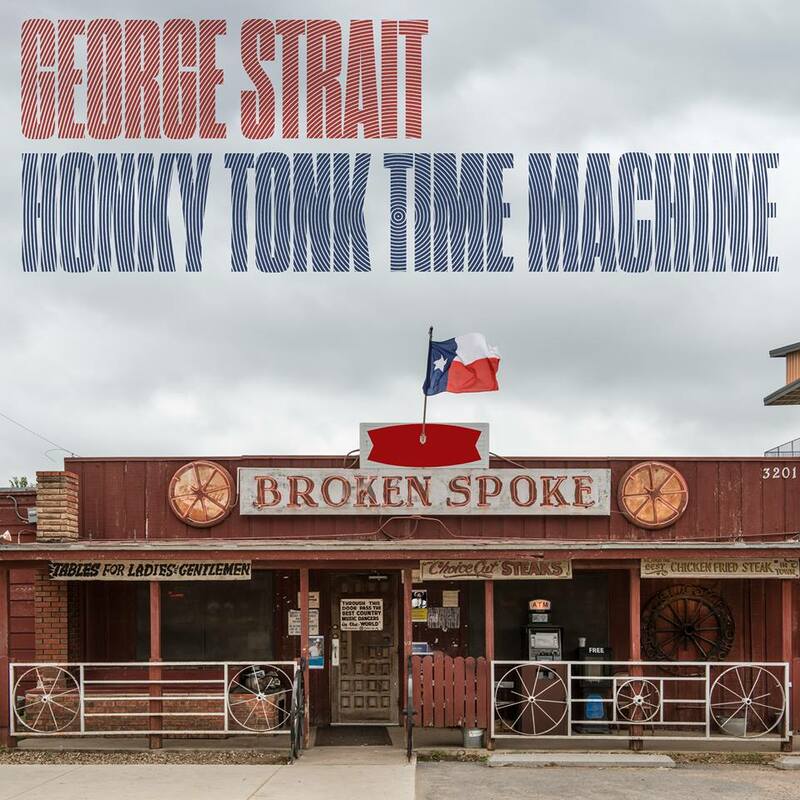 It was definitely something of a love song to his truck, and whilst I generally have mixed feelings towards country songs about trucks and tractors and the like, the way it weaved stories about life inside made me like it better. Troy had expertly picked his songs for this show to be the ones that told the most interesting stories, and I particularly liked his next choice, Shutting Down That Town, which did just what it said on the tin – told us about the people affected by a town that had effectively been shut down. This was certainly a song to evoke emotions, and was a real ‘human interest’ song. We continued with the emotional songs with Kylie, who told us that she couldn’t say too much about the song, aside from that she had written it with songwriting superstars Phil Barton and Lori McKenna, for fear of crying. As she sang I Can’t Be Your Jesus, I could see why. It was a real tearjerker about wanting to be everything for someone you love, but knowing that there are just some things you can’t do. She sang it with great emotion and I heartily recommend checking it out when it’s released – this is what country music is all about. Luke had saved a love song for last, explaining that he had gotten engaged last November and written a song about his fiancée, who was equal parts beautiful and crazy. Luke’s vocals on Beautiful Crazy were almost matched by the crowd who sang passionately along to every word. Out of all of the talented songwriters at the show, Luke definitely received the strongest reception and is clearly a favourite for Aussie crowds. I have no doubt he’ll be returning to play more shows over here before too long. Thomas also chose to play a love song as his last song for us, choosing one he had written about his wife of almost seven years and which has since become one of the most popular love songs in the genre. Die A Happy Man was just as beautiful now as it had been when I first heard it, and the perfect end to a truly incredible songwriters show. It’s not every day you get so much star power in one room and it was an absolute privilege to watch.